Greeting lovelies! A more appropriate name for this post might be Hair of the Weeks. Sunday I spent hours upon hours styling my hair into mini twists. 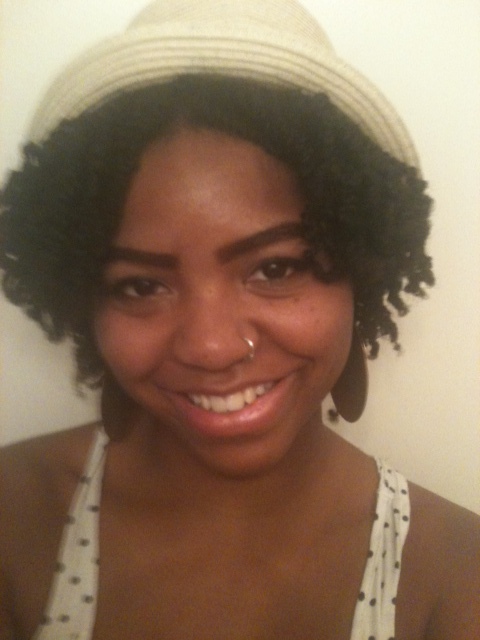 The style, though time consuming, is a great protective style for natural hair and it is meant to last a long time. Perfection for my busy schedule! So its been a couple days already, but I plan on keeping this style for another 2-3 weeks. I only used Cantu Shea Butter Leave-In, the basic two strand twisting method, and LOTS of patience to achieve this style. 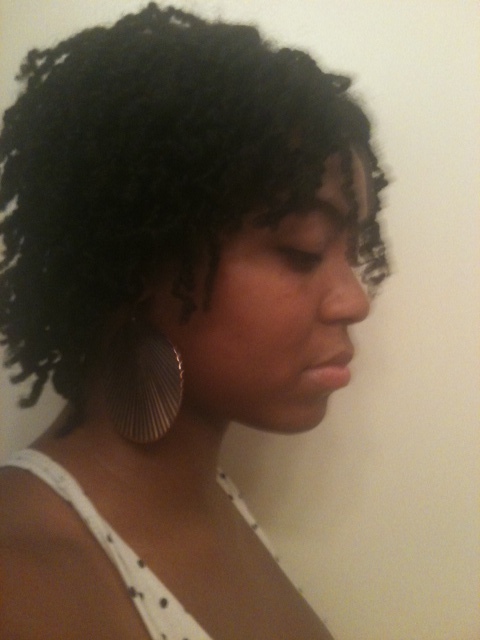 Its my first time doing the twists this small and I like them thus far. I like the way they coil up at the ends. The shrinkage with this hairstyle is crazy! My twist are literally more than twice the length they appear when I stretch one. 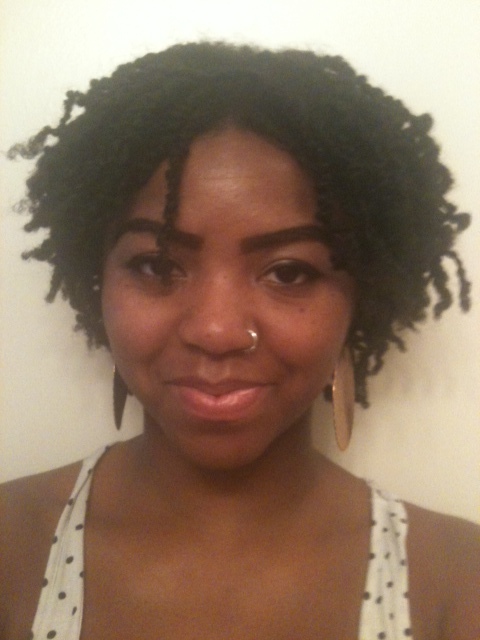 I may stretch the twists out over time using braids or ponytails and see how they look that way. But I’m not too, too obsessive over length appearance.Anyways, enough of me being a Chatty Cathy! 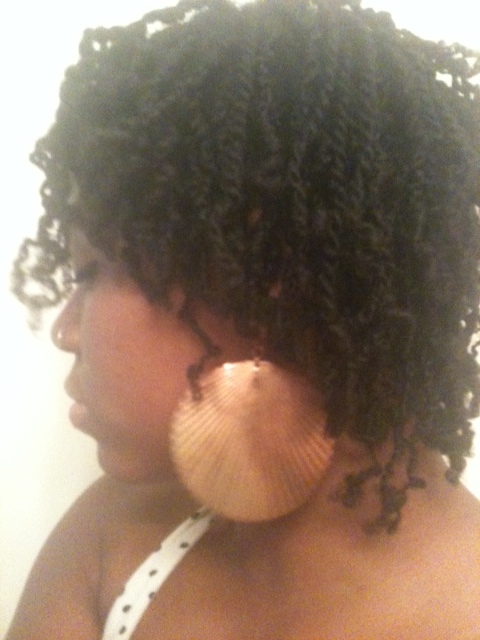 Here are a couple more pics where you can see the twists a little more clearly. What do you guys think about this hairstyle? Love it? Hate it? Let me know! I can feel it guys. 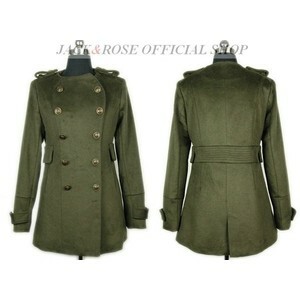 The big color for Fall 2012 is GREEN! 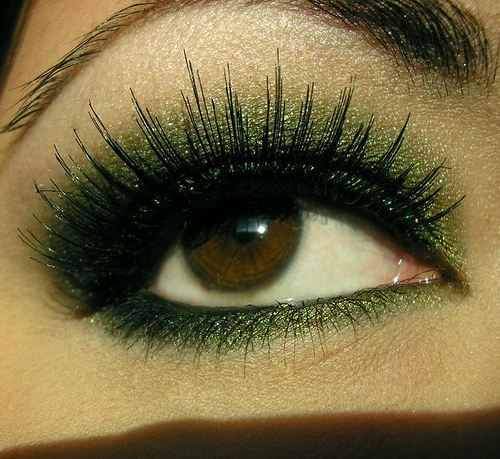 Specifically a kind of forest and military green is coming in as a huge player in Fall makeup and wardrobe. 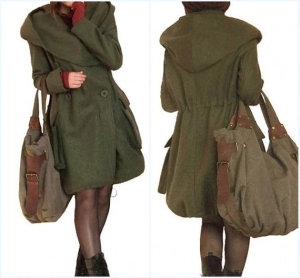 This darker more muted green is perfect for Fall and when done right can look beautiful against any skin tone. It is in my opinion best complemented by browns and golds (great Fall staple colors as well). 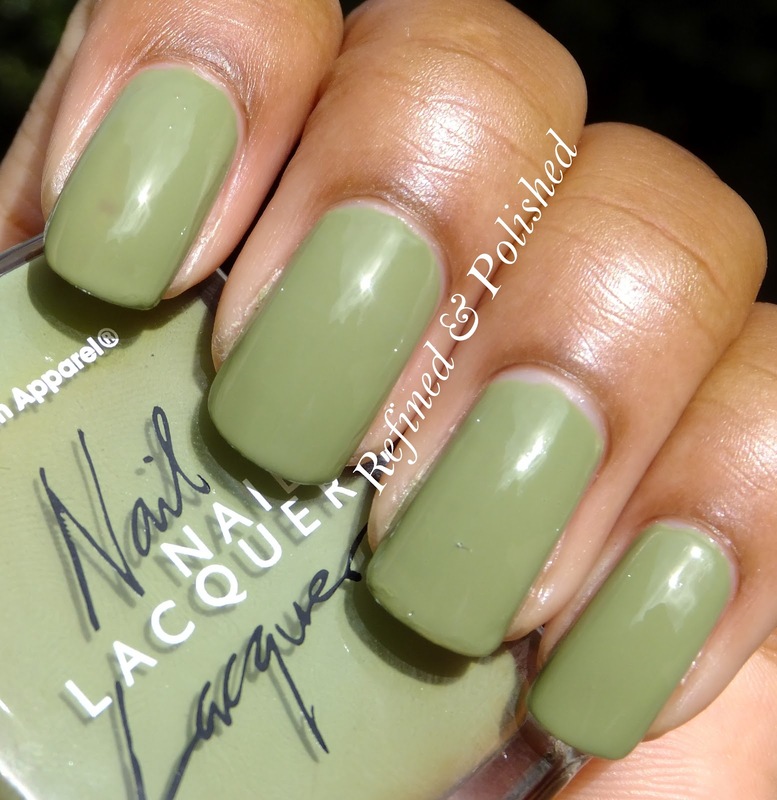 Take a look at some of the pictures I have compiled below, to inspire you to rock green right in the Fall season! New Site Design: Your Thoughts? Hello my lovelies! As many of you may have already noticed I have changed theFashionerrd site design a lot in the past few days. I liked the page before, but I felt it needed upgrading. I chose to design it as I have now in an effort to make the page a little more unisex and all-encompassing.However, I love my followers and I want to know what you all favor better. Your opinions definitely matter! So, I ask that you all take a moment to answer the poll below in relation to the changes to theFashionerrd. If you guys have more detailed observations to make, please feel free to do so in the comments. Hello guys, I am back and honored to be reporting the receipt of another award! 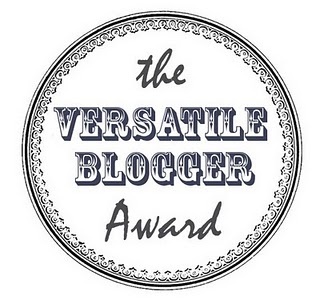 This time it is the Versatile Blogger Award. I was nominated for this award by PrimaDonna Girl, check her out! Which leads me to this….I HATE BANANAS…they are like baby food in a peel, GROSS!! I am somewhat of a procrastinator, though I try not to be. I love thrifing! Even more than “regular” shopping. Now off I go to let them know of their nominations!! 5.NO tag backs what so ever! My favorite drink, now that I am 21, is the Earthbound from Chilis, mmmm delish! I have mini shrines to Marilyn Monroe in my home, she just embodies glam-itude!! I hate bugs! All kinds. They are just gross! Ive always been pretty girly. I have loved fashion since I was just a little tyke! I love reading! The next book I want to read is 1984 by George Orwell. fave movie? I’d probably have to say Mean Girls, its so funny! who is your fave designer? I’m not too much into designers, name brands and such, so its hard for me to answer that truthfully. ever been recognized in public by a follower? Nah, not besides the ones I already knew in real life. what ONE beauty product could you not live without ? I could NOT live with out my eyebrow pencil. If I don’t put on any other spot of makeup before leaving the house I make SURE to shape/fill in my eyebrows! in a relationship or single? SINGLE, ayyyeeee! Reason for the name of your blog? Most worn item in your wardrobe? How’d you meet your best friend? Weirdest thing you’ve ever tried? Now for the nominated bloggers…. Now off to tell the bloggers of their nominations! My lovely, lovely dolls, I apologize soooo much for my little-under-a month long hiatus. I have been really busy with the start of school, my employment at two jobs, the student paper, and all my orgs. But, IM BACK!!! Im still busy with all these things, but my lovely blog dolls mustn’t be neglected any longer! What I will do is begin to blog every Saturday, MINIMUM. I will try to blog more than this, but Saturdays are what I promise you all. You can still look to theFashionerrd for hair, beauty, fashion and more blogging entertainment and advice! I look forward to entertaining and informing you all more and more in the future. I have many awesome blog topics waiting in store for you guys so Stay Tuned!! 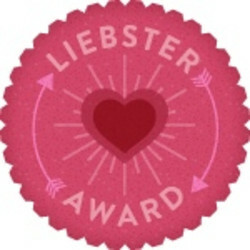 Also, I have been awarded the Liebster Award & the Versatile Blogger Award (YAYYY!! ), so stay tuned for posts on that!